Amazon CEO Jeff Bezos’ plans to splurge some of his jaw-dropping wealth pushing his private spaceflight company Blue Origin towards the business of moon colonization—think Elon Musk’s dreams of a SpaceX-backed colony on Mars, but much less likely to get everyone involved killed—dropped last year. Also, Bezos apparently likes the European Space Agency’s concept of a Moon Village where all lunar outposts are concentrated in a single region for potential resource-sharing the most. As Geekwire noted, Bezos views Blue Origin as primarily about lowering the cost of cargo delivery to space rather than actually getting too deeply involved in the construction of things like habitats, so this would all set up the company nicely to be a sort of Space Amazon for said Moon Village. Competitors like SpaceX and Boeing seem to have an early advantage: As TechCrunch noted, Blue Origin is still only testing sub-orbital rockets. 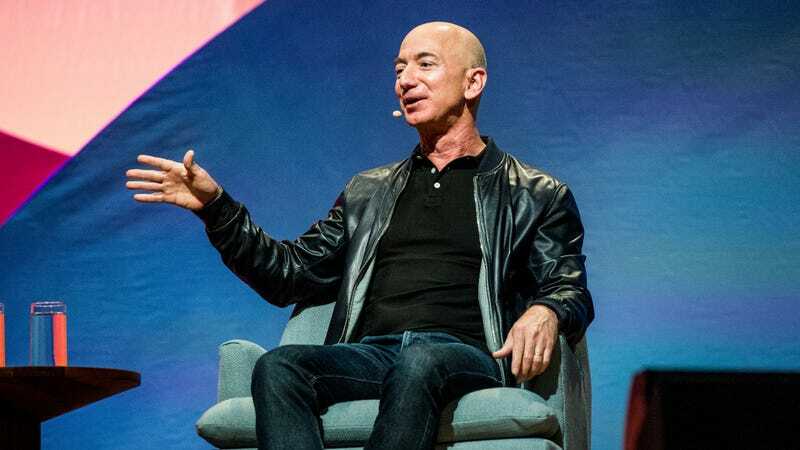 But Bezos told Geekwire he’s liquidating $1 billion of his Amazon stock a year to fund Blue Origin, and doesn’t expect to run out of money anytime soon. In any case, these all seem like reasonable insights in how humans can achieve our deepest ambition as a species: An entire solar system filled with trillions of hastily discarded Amazon boxes.